It’s time for another Tag You’re It! Challenge. Can’t believe we are up to number 6 already! 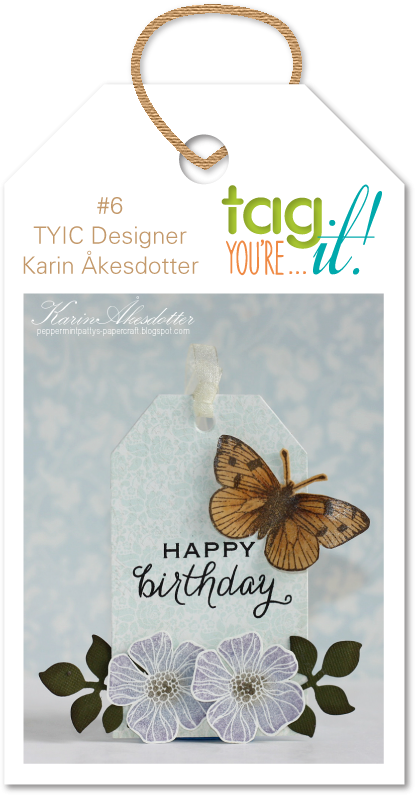 Here is this week’s lovely inspiration tag – made by Karin Åkesdotter. I just HAD to include a butterfly as you know me, I love my butterflies. To add some sparkle, I created a glittery butterfly using some double sided adhesive and glitter. The tag was from my scrap pile, but it was made by smooshing distress inks onto an acrylic block and then pressing it onto some water colour paper. I love this technique! 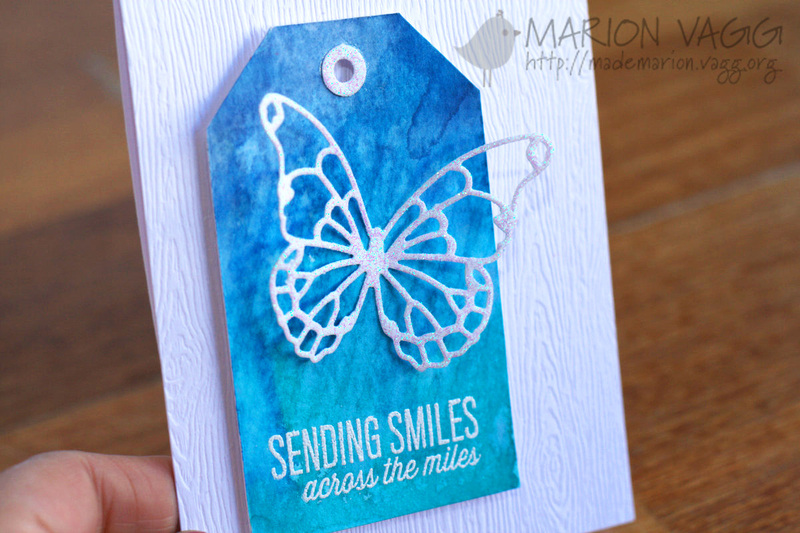 Butterflies and sparkle, it’s the perfect card Marion! Gorgeous tag, Marion! 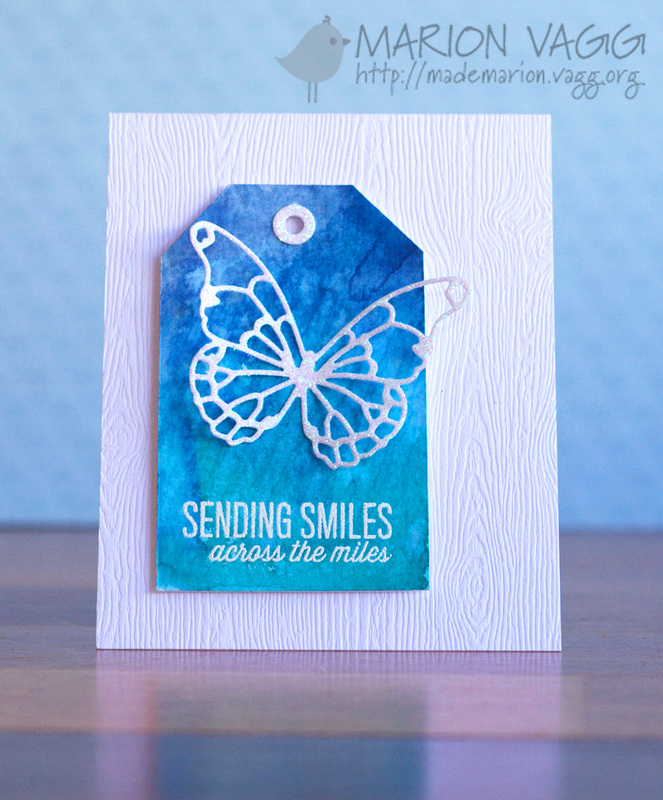 I love the sparkly butterfly against the water colored background, and your woodgrain card is perfect! Oh, this is so pretty! 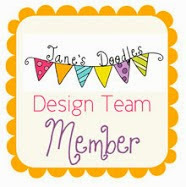 I love the background on your tag!